Surf Sprouts, April 14th Training Day & Camp; 2 Sessions in June Now Available!! Sprouts, grab your paddles and let's dig in as we get ready to catch some waves and start shredding some surf! This paddling activity best suited for ages 12-16 yrs, will focus on paddling safely and efficiently in the surf with a major emphasis on fun. Sprouts will learn the fundamentals of kayak surfing technique, proper equipment, surf zone safety and etiquette, how to choose proper surf, and essential techniques of wave riding. Prepare to get wet and learn to love a good wipe-out. Sprouts will spring forward with improved paddling skills and confidence after our super-charged two-day camp. Also, for those students who just can't wait for camp to start, we'll have a mid-April warm-up surf session. All levels of experience are welcome, but good attitudes are required. Better eat your fruit-loops before surf day, because you're going to need 'em! April 14th is Practice Day, and Surf Sprouts camp will take place Mon. & Tues., June 3rd & 4th, and again on Wed. and Thurs. June 19 & 20. Call today to sign up, (912) 341-9502. The cost for each day is $60 per student. Get ready for more on-water shenanigans with the Sea Sprouts! This 2 day kayak camp, geared for ages 9-12 years, will be action packed with plenty of exciting games and activities to help develop paddling skills, and on-water safety. Classic games and Sprout favorites like "Muddy Buddies" and "Shakey Monkey" will surely make their way into the games list for this year as well. Sprouts will also go on a paddling trip on the second day of camp putting all their new skills to the test. This is both a great way for kids to get started paddling or build on any skills they've developed previously. Camp will take place at "Butterbean Beach" or Rodney J. 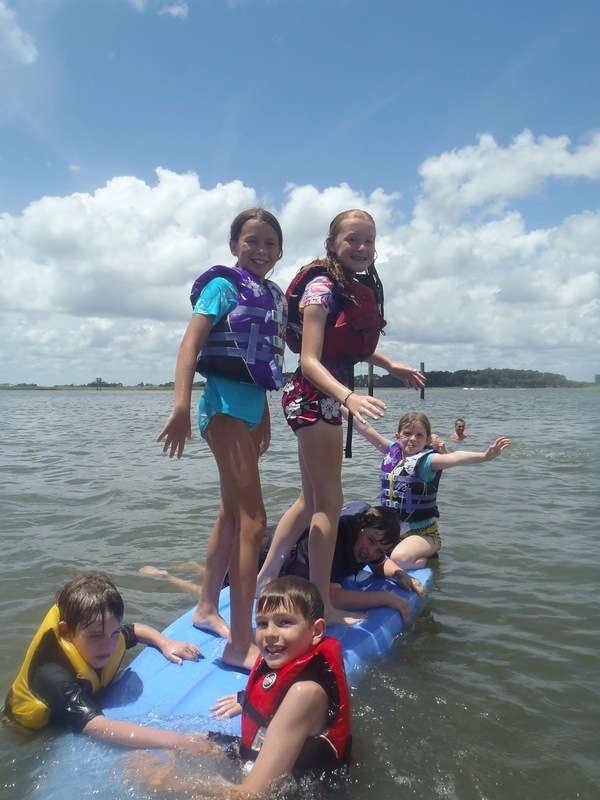 Hall Boat Ramp in the Skidaway Narrows from 9:00 until 12:30pm on Monday and Tuesday (1st session June 10-11, 2nd session June 24th-25th, 3rd session July 8th-9th and the 4th session July 22-23) Cost is $60 a day or $120 for both days, call the shop today to sign up, 912-341-9502.